Just in, Grab Philippines welcomes the incoming administration through their new promo code, FORWARDPH as the country celebrates the inauguration of its new leaders today. This historical event should give hope for a better future for the Philippines as we all move forward, together. 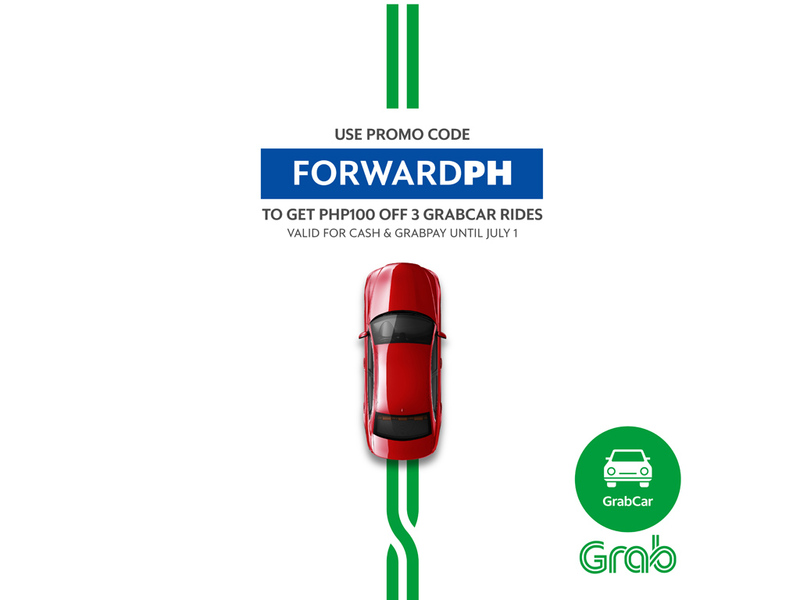 From June 28 to July 1, passengers can use the promo code FORWARDPH to get P100 off on 3 GrabCar rides to commemorate this time in the country’s history --- all GrabCar passengers can get in on the promo code and be part of the celebration, whether they’re new to the app or if they’ve been users since the beginning. Here’s to working together in pushing for safe and efficient transportation for all.